This scroll was drawn in the new year of 1953. 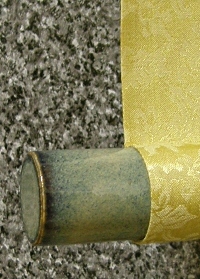 So, the condition of this scroll is very good. 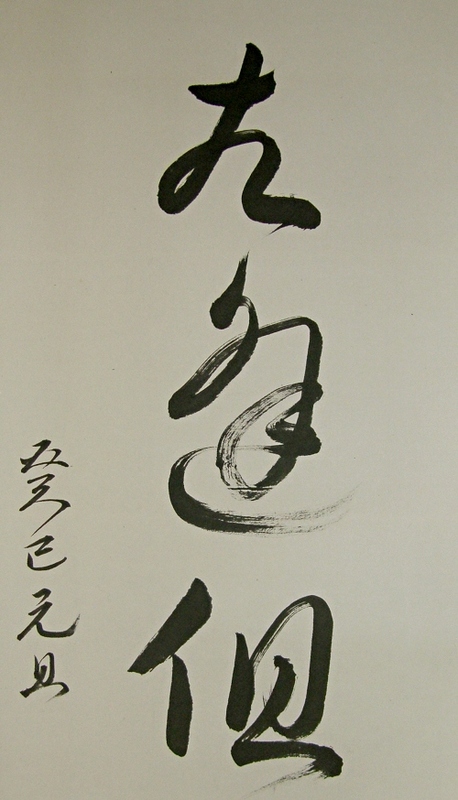 The Kanji phrase is from an old-time anthology. It is a phrase celebrating a new year.